If there is a better looking affordable compact sedan, name it. The new Forte follows the Kia Stinger's design cues and we love it. Up front, the Kia Forte has no polarizing design elements to turn off buyers. Thankfully, the Forte does not have the awful bug-eyes of the Sportage, but looks like a cross between an Optima and a Cadenza. Along the sides, the Forte looks long and sleek. It gives the impression of being a "big compact car." The rear looks good with an upturned tail that adds some distinction. Given that the Forte is a sub-20K car to start, the interior is excellent. Materials never seem cheap and the layout is outstanding for ease of use. The large screen of our top-trim tester was fantastic and easy to read in every situation. Seating is almost shocking at the top trim. Our EX Launch Edition tester had not just heated front seats, but also ventilated! We've tested European luxury vehicles costing over $60K that didn't have this feature this very year. 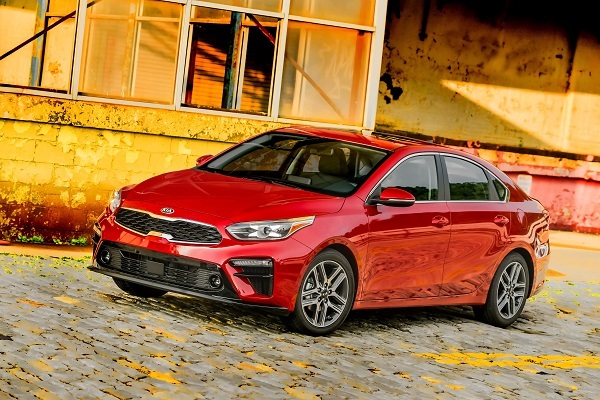 For $26K, the Kia Forte packs in amazing content including a Harmon Kardon premium audio system, auto dimming rear-view mirror, moonroof, LED headlights with auto high beam, wireless phone charging, and smart cruise control. We felt coddled in the Forte. 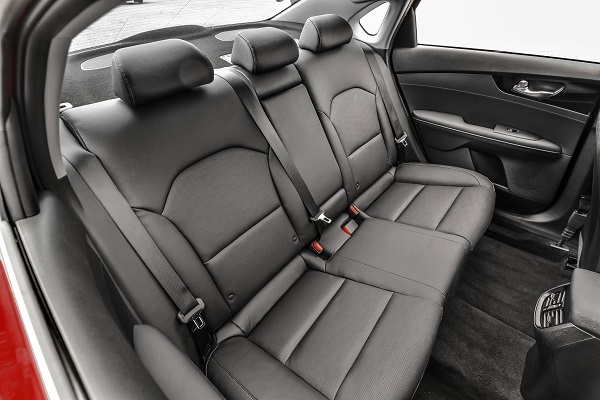 During our time with the Forte, we transported three adult passengers without any discomfort. Front seats need to come forward a bit, but everyone is comfy. Like most small sedans or sedans in general, getting in and out of the Forte is not as easy as it is from a compact crossover like the Sportage. 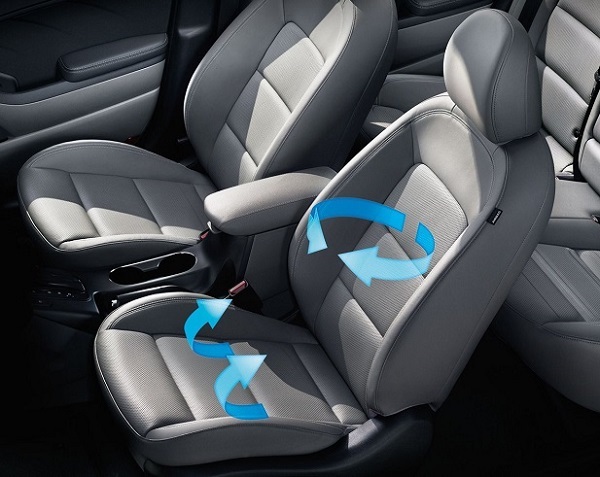 Likewise, if you plan to make the Forte your family vehicle and will be putting little ones in car seats for the next many years, plan to bend and twist to do so. Sedans are at a disadvantage now and we won't stop telling readers that is the reality. Cargo area in the trunk space is 15.3 cubic feet and under the rear cargo floor is a compact spare tire. Nobody does infotainment better than Kia. The Forte's 8" touchscreen was perfect to our mind. Menus are easy to operate intuitively and although one can touch the actual screen if one chooses, the buttons under the screen and steering controls negate the need in normal driving. Our Samsung phone worked instantly with the standard Android Auto and it worked every time without any glitches. You can't get this technology in any BMW, any Lexus, or any Toyota. Yet, here it is in every Forte at no added cost. Imagine, not having to buy a trim with Nav anymore. Just use Google Maps. Imagine not having to subscribe to Sirius XM anymore. Just use Pandora or your own choice of apps or in-phone audio files directly via the vehicles' infotainment screen. 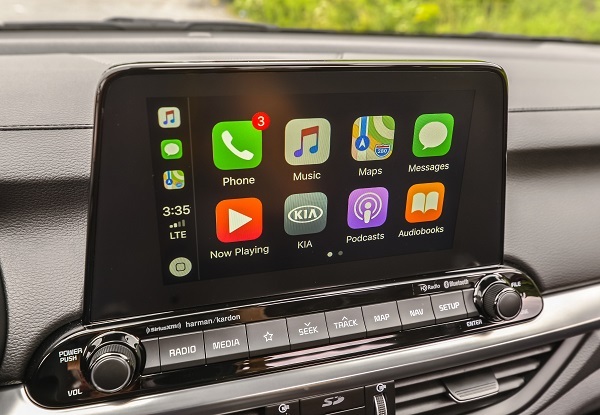 Apple users will be glad to hear Apple CarPlay is also standard. During our testing, we never dropped below a displayed 40 MPG trip average. The EPA estimates are 34 Combined, 30 City, and 40 Highway. That is better than the new Toyota Corolla. The FE trim has slightly higher ratings. Kia now has the best initial quality rating from J.D. Power and Associates and is second only to Genesis overall. 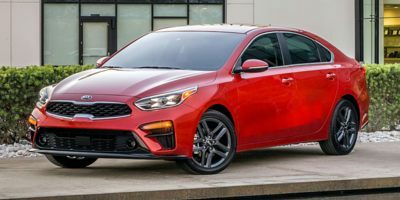 While past Kia Forte reliability ratings have been hit or miss, Consumer Reports predicts the Forte will have a 4/5 for quality. This being a new generation, it is likely there may be a few glitches here and there, but overall, Kia is doing better than almost every automaker in this regard. Kia has a strong emphasis on safety. The 2018 Kia Forte from last year earned the highest possible safety rating the Insurance Institute For Highway Safety's Top Safety Pick Plus rating. For 2019, active safety such as automatic emergency braking and lane keep assist is standard. By coincidence, we tested the $26K Kia Forte back to back with the $65K Kia K900 luxury sedan. As far as we could tell, the Forte had all of the same safety features as the high-end Kia. Don't tell Kia we said this, but the Smart Cruise Control actually seemed to be a bit better in the Forte! Performance expectations in the affordable compact sedan segment are not the same as in other categories. We felt that the Forte met the standard here. Acceleration is never unsafe, nor is it going to give you whiplash. The 2.0-liter engine and CVT transmission get the job done quietly and smoothly. We found that we used "Sport" mode quite a bit around town to get the thrust we needed. The Forte is very comfortable over broken up roads and handles well. It was an outstanding highway car. We feel that the Forte would make an ideal commuter vehicle. What one can now get for one's money is almost astounding. The Forte starts at about $18,500 and as we mentioned above key safety and infotainment equipment is standard at that price. Kia offers four trims with added content. Please don't be discouraged that our tester cost $26,200. The Forte has great content between its min and max price points. Although GM, Ford, and Chrysler are unable to find a way to make small sedans work, Honda, Toyota, Kia, Nissan, and Hyundai have fantastic offerings. The Forte finds itself in a segment that has many excellent models from many reliable brands. We think the Corolla from Toyota may be the biggest direct competitor to the Forte. The Corolla has earned its reputation, but the truth is, the Forte has things like Android Auto that Toyota just does not have. The Honda Civic is really not a direct competitor. It is more of a sporty offering in most trims, though there is some overlap. Hyundai is a sibling to Kia, so the Elantra is a definite cross-shop for any savvy buyer looking for the best discount. 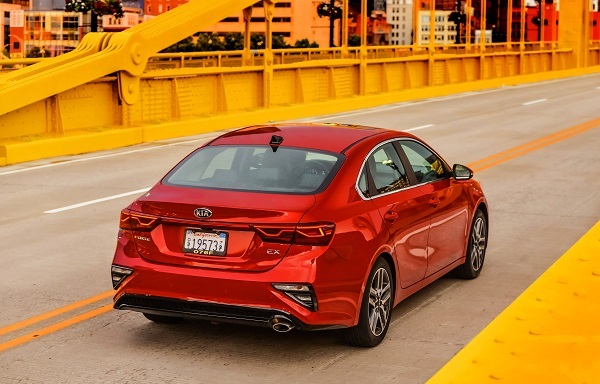 Interested to see how the 2019 Kia Forte ranks against similar cars in terms of key attributes? 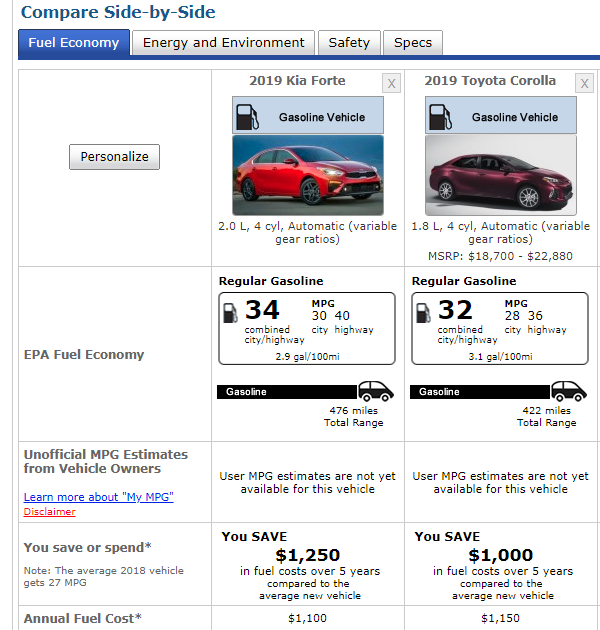 Here are the 2019 Kia Forte rankings for MPG, horsepower, torque, leg room, head room, shoulder room, hip room and so forth.